We are excited to announce that LandShark Lager will be sponsoring the 2017 Best Florida Beach Bar contest! The Best Florida Beach Bar contest is one of our favorite aspects about Florida Beach Bar as it's a fun way for all of us beach bar lovers to show how much we appreciate some of our favorite Florida beach bars. As Sarah and I travel around the sunshine state in search of those perfect Florida beach bars, we've often discussed how to take the contest, and the website, to the next level and make it an even better experience for our visitors and the beach bar winners. With LandShark, these improvements can become a reality. 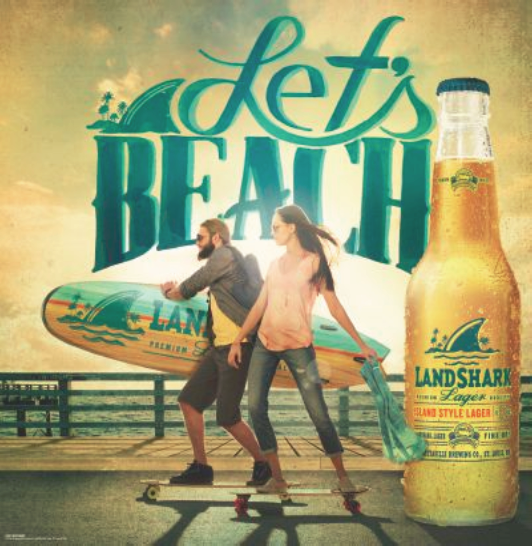 LandShark is a natural fit to sponsor the Best Florida Beach Bar contest for many reasons. First, we feel that this lager embodies the spirit of the Florida beach bar community - authentic, playful, and ready for a spontaneous adventure at any moment. During our beach bar trips, a tell-tale sign that we're approaching the coast is when we begin to see the LandShark surfboard-style tap handles start to appear behind the bars. LandShark is brewed in Jacksonville, Florida. What a fantastic fit to work with a company that has it's roots in Florida and can help us celebrate all these great beach bars. The Florida connection makes this sponsorship truly an organic match. It's brewed by the Margaritaville Brewing Company and is the house lager for Jimmy Buffett's Margaritaville restaurants. Sarah and I met back in 2002 and one of reasons she struck up a conversation with me is because I was wearing a Jimmy Buffett t-shirt. 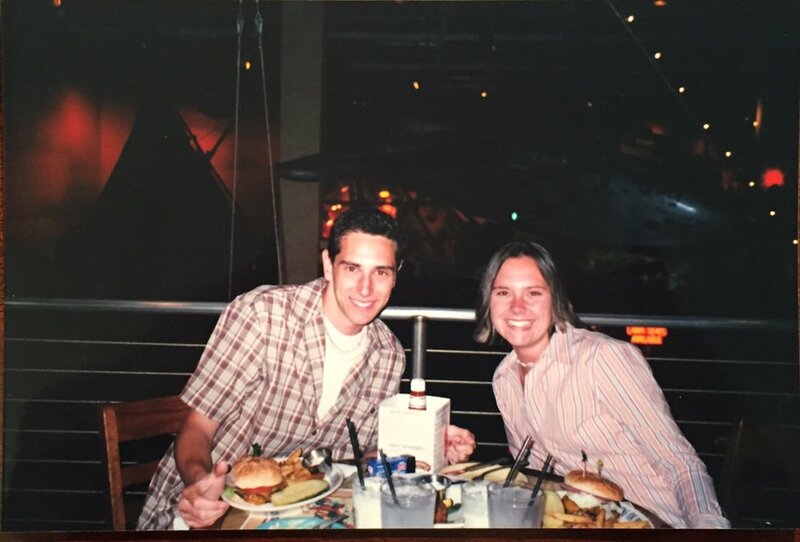 Our first date was at the Margaritaville in Orlando and I had never been to one so naturally, I had to order a Cheeseburger in Paradise. Having LandShark sponsor the contest is very special for us. LandShark is an island-style lager that was launched in 2006. It's light-bodied, refreshing, and perfect to sip in the summer. As mentioned previously, it's the house lager at Jimmy Buffett's Margaritaville restaurants and can be found in your neighborhood grocery store or at many of the beach bars found on FloridaBeachBar.com. In 2015, it won a the North American Brewers Association Gold Medal in the tropical-style lager category. Voting for the 2017 Best Florida Beach Bar begins April 1st so be sure to vote for your favorite Florida beach bar and the chance to win some LandShark gear! Must be 21 or older to drink and please enjoy responsibly.